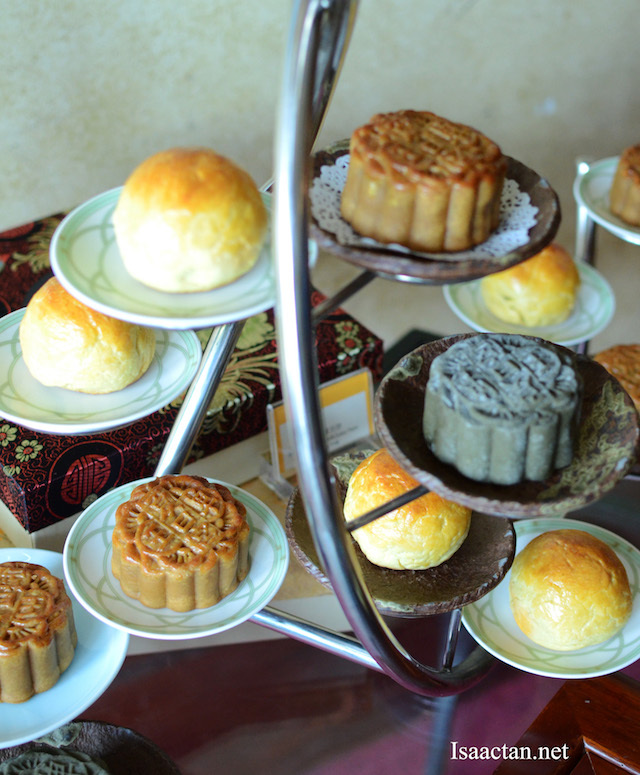 The mooncake season is upon us again. 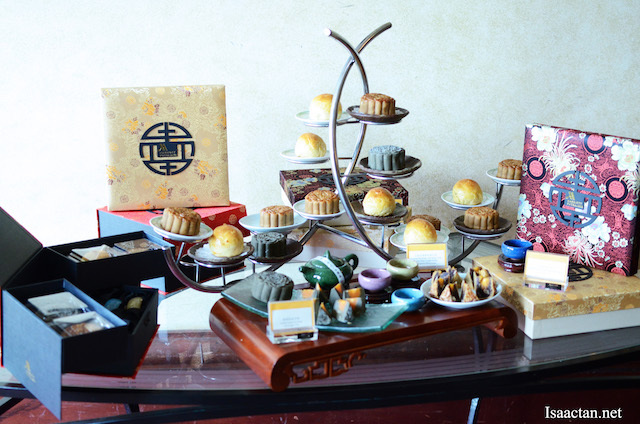 My first time over to Summer Palace Restaurant at Putrajaya Marriott Hotel, I got to sample their mooncakes in conjunction with the Mid-autumn Festival celebrations. 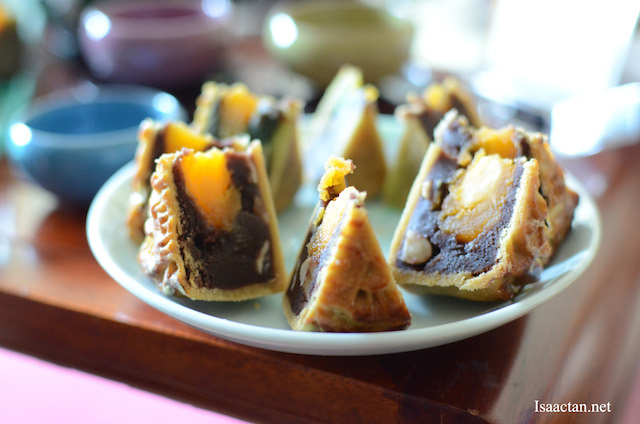 Being one of the most important festivals of the year, the Mid-Autumn festival becomes a reason to gather family to share mouthwatering mooncakes with each other, to to give them away to close friends and clients as gifts. 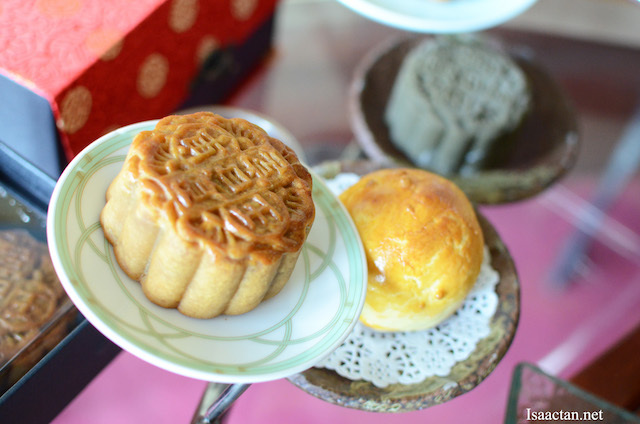 Traditionally, the mooncake is round in shape, a symbol of unity, with a thin pastry layer and a rich filling made from lotus seed paste or red bean paste with an egg yolk in the centre. 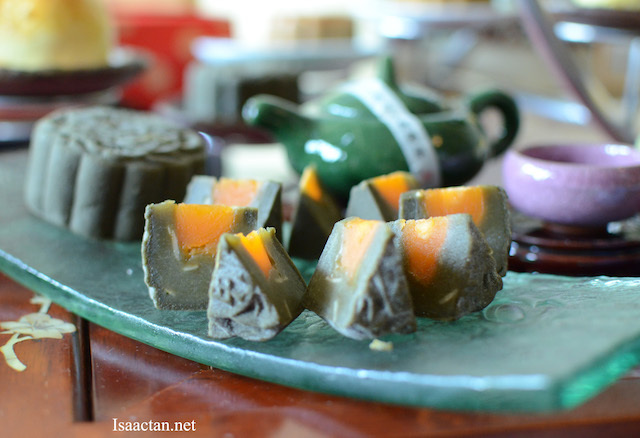 In recent years, the variety flavors of mooncakes and shapes have become more prominent, with exciting flavors such as green tea proving to be a popular choice. 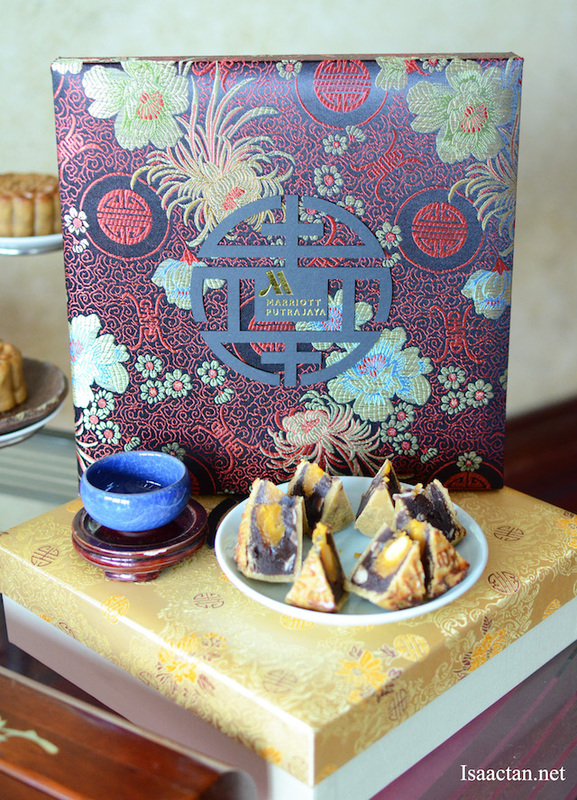 Celebrating this year's Mid-Autumn Festival, Chef Chan Wooi Leong introduced to us an assortment of delightful mooncakes with a choice of 2 customized boxes that comes with the mooncakes within. Avid box collectors would be pleased indeed, as the oriental design and quality of the mooncake boxes were on another level all-together. 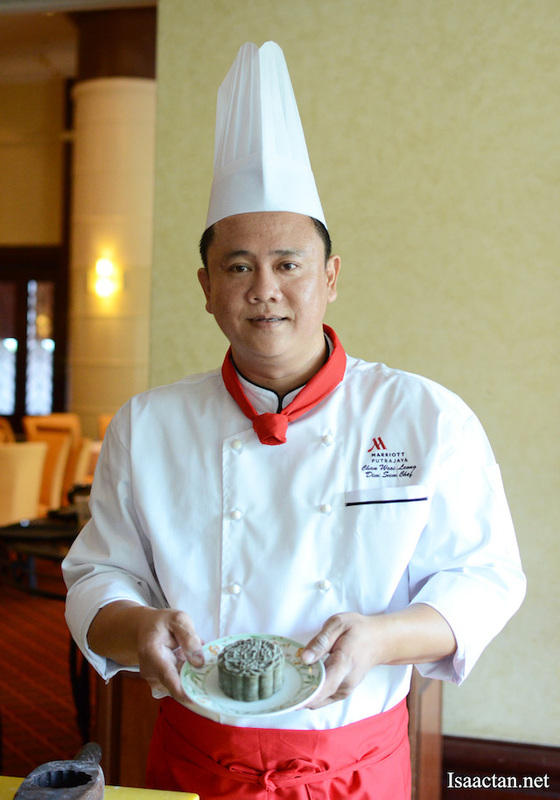 Born in Ipoh, Chef Chan had his basics in mooncake making with guidance from his mother who was known for making delicious mooncakes. 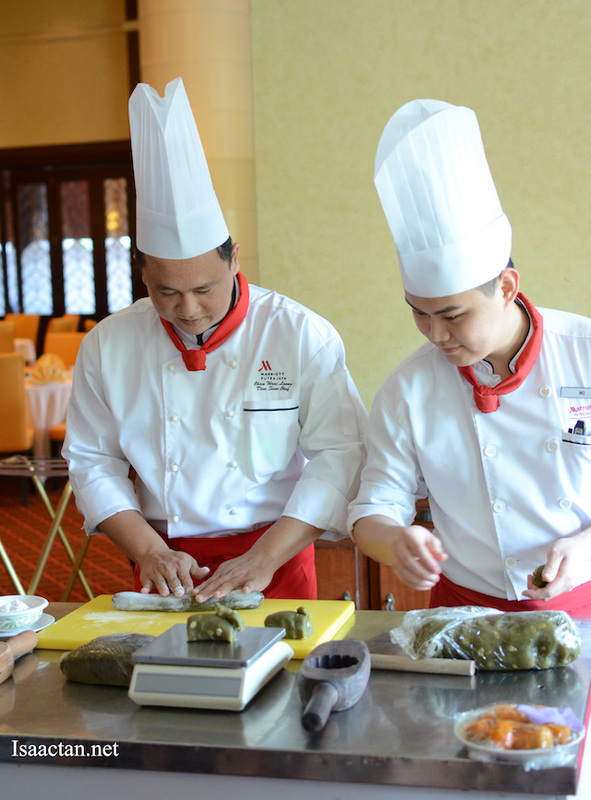 Experienced for the past 15 years in making mooncakes and signature dim sum, Chef Chan passionately caters to all sorts of special requests, including the mooncake making demonstration which we witnessed that afternoon at Summer Palace Restaurant. Presented in a beautiful gift box, choose from a good selection of mooncakes at the Summer Palace Restaurant as gifts for friends and family. For corporate clients, regular box of 4 are available at RM92 nett, VIP Box of 4 available at RM128 nett (where you will get a complimentary attractive Chinese Tea Set). Individual Mooncakes are available at RM23 nett each. For more information do call them up at 03-89498888 ext 1332 or check out the official website at www.summerpalacerestaurant.com.my .